A married man who moved out of the matrimonial home after his marriage ended on the rocks, is calling for the revocation of a temporary protection order, claiming it breached his fundamental rights. Abdusalem Moamer Mohammed filed a constitutional application before the First Hall, Civil Court, challenging the constitutionality of the temporary order issued by a Magistrates’ Court barring him from approaching his estranged wife, a fellow national he had married in Tripoli six years ago. 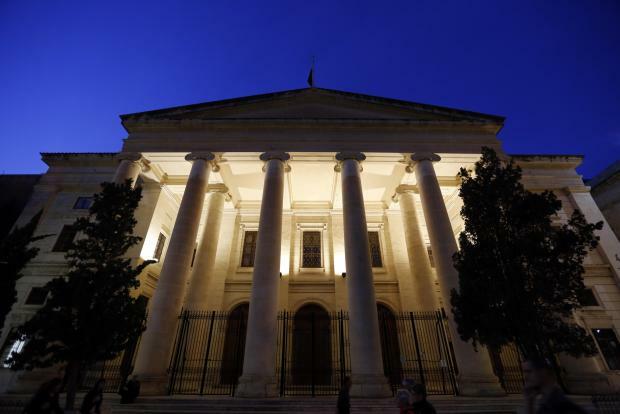 The couple had settled down in Malta and had a daughter, born in 2015, before their relationship took a downward turn owing to marked differences of character between the two, with the wife’s family branding the applicant as “not a good Muslim” on account of his lifestyle. As the character divergences became increasingly pronounced, the husband moved out of his family home without, however, wanting to sever all contact with his wife and four-year old daughter. Shortly after the move, the woman changed her mobile numbers and also relocated to a different address without informing her husband of her whereabouts, leaving him with no point of contact save for her father who repeatedly told his in-law to “change course” and live as a “good Muslim” if he ever hoped to see his daughter again. A visit to his wife’s new address proved futile, with the woman refusing to answer the intercom. During a second visit, the man managed to reach the apartment door since the common entrance was open. However, a knock at his wife’s door had soon brought along two policemen who, after speaking to his wife, told him to leave. A visit to the school attended by his daughter likewise proved useless. In spite of presenting documents proving his paternity and telling school authorities that the girl had been registered at the school without his signature, the father’s queries went unanswered and he ended up leaving the institution even more greatly puzzled than before. Later that same evening, he received a call summoning him to the nearest police station where, upon his arrival, the man was informed of a temporary protection order issued by a Magistrates’ Court prohibiting him from approaching, harassing or in any way contacting his estranged wife. The order was to remain effective until it was decided whether criminal proceedings were to be instituted in his regard, exposing him to a possible maximum fine of €7,000 if he were to violate that court order. Up to this present day, the man had no clue as to the contents of the report which sparked off police action against him, nor was he aware of the alleged wrongdoing meriting such a temporary protection order in favour of his wife. The order made reference to an application filed by a police inspector, the man explained. Yet neither the inspector, nor any other police officer had spoken to him about the report allegedly filed by his wife. In the light of all this, the man claimed that such a procedure breached his right to a fair hearing as envisaged under article 39 of the Constitution since his version of events had not been sought. Neither the police, nor the “trained professional” making the risk assessment which led to the issue of the temporary protection order and not even the duty Magistrate shouldering responsibility for such order, had heard his version of events. For this reason the man called upon the First Hall, Civil Court in its Constitutional Jurisdiction to declare as unconstitutional article 540A of the Criminal Court under which such temporary protection order had been issued. Furthermore, he asked the court to declare that his right to family life and to an effective remedy had been breached by such order which the applicant requested the court to revoke and to provide for necessary measures accordingly.